My box of back issues finally arrived. Reading through it may cause my head to explode (so many things to try, so little time :), but I’ll take the chance! 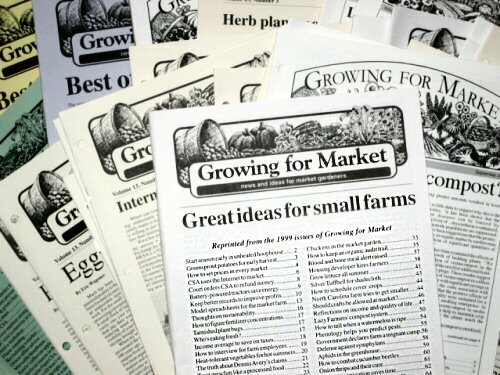 This is the entire collection, seven years worth, of a fantastic market gardeners’ monthly newsletter called Growing for Market. 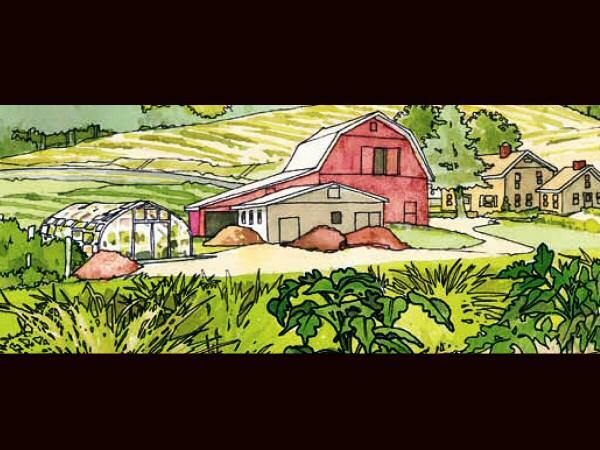 Tiny farming lies in a kind of information nowhere land between gardening and large-scale agriculture. Most of what I do is straight from gardening methods, but the scale is a little…bigger, with things to do and problems to solve that just don’t happen in even a very large personal garden. Meanwhile, commercial farming info is all about tractors and agrochemicals and acres of one crop at a time. All wrong. So where do you learn the best way to stake 500 tomato plants, or how to keep veggies fresh for half a day at a hot outdoor summer market? For one-stop shopping, you could take Rodale’s Garden Problem Solver and a bunch of seeds and that’s all you’d need to get started. 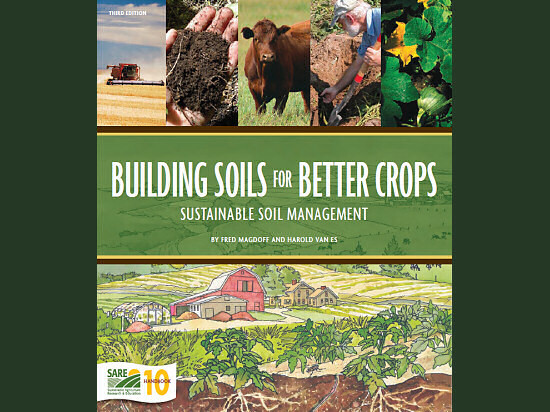 This book wasn’t an early acquisition, I think I got somewhere into my first year, but it’s turned out able to answer just about every organic production question I’ve had, from cultivation to irrigation. It’s a little sun-bleached from trips to the field. 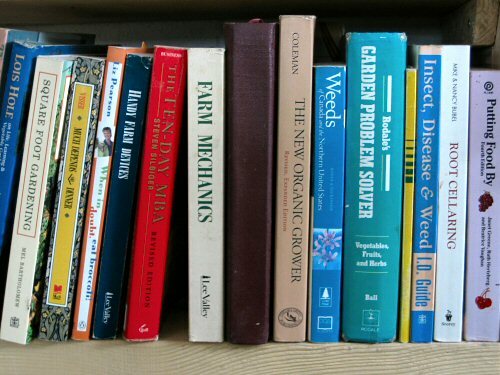 And then, The New Organic Grower is probably required reading if you’re selling what you grow: practical and also kinda inspiring on the microfarm marketing side.